Today in an unrelated post, I heard it said that the poster hated blog posts that start with 'The Title Says It All' - after all, then there wouldn't need to be the rest of the post accompanying it. 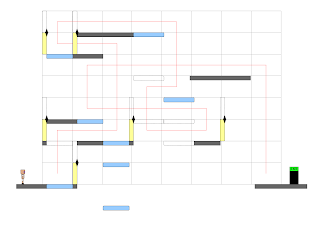 But still, as my title says, designing moving mazes is difficult! 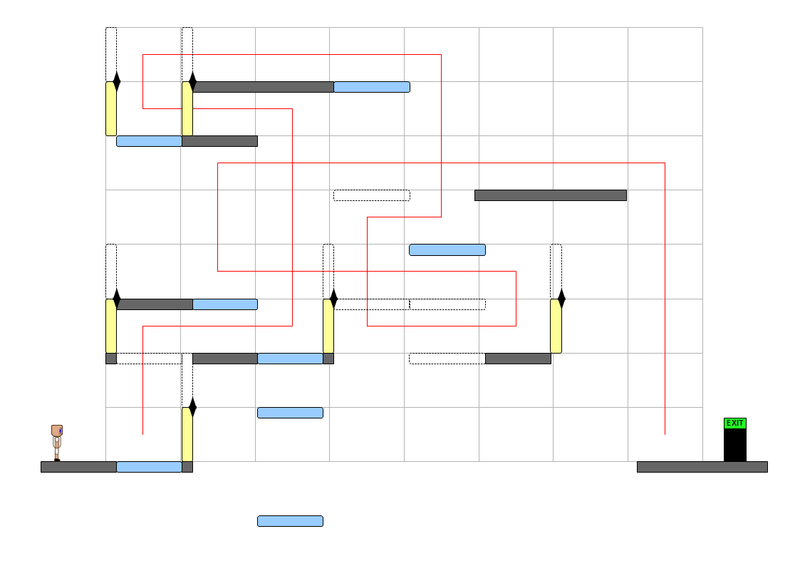 For that matter, I'm finding designing puzzles difficult. I am finding it difficult to, without experience, judge the difficulty of the puzzles. What has taken me ages might indeed be a simple puzzle, and what I've been able to think was simple might be prohibitively difficult to actually solve as opposed to design. But I'm actually struggling with this. Its a map I actually wanted to make - a maze that uses elevators to change the layout as you're going through it. What I've done is make a path, and then attempt to make a map that goes with it. I think the basic design is close - but it might be workable. I think I might try to make a timeline of it and see. I'm pretty sure it's solvable now. There's some changes from above. Questions are a) whether my thoughts that it is solvable is correct, b) whether it is practically solvable in the limited time and c) how difficult it actually is. We'll see once its coded up!